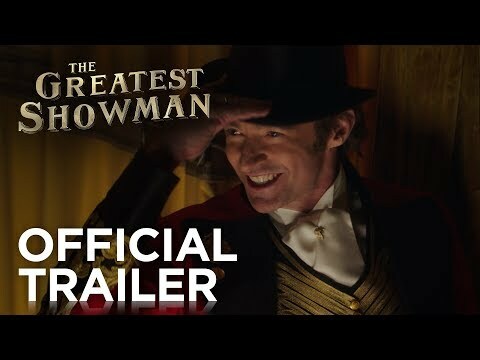 Prep up for the most wonderful time at the movies as 20th Century Fox teases with the initial trailer of The Greatest Showman starring an exciting cast of performers led by Academy Award nominee Hugh Jackman, Zac Efron, Academy Award nominee Michelle Williams and Zendaya. The Greatest Showman is a bold and original musical that celebrates the birth of show business and the sense of wonder we feel when dreams come to life. Inspired by the ambition and imagination of P.T. Barnum, The Greatest Showman tells the story of a visionary who rose from nothing to create a mesmerizing spectacle that became a worldwide sensation. Barnum rose from nothing to create the Greatest Show on Earth, the movie celebrates of his larger-than-life imagination that captivated audiences around the globe. 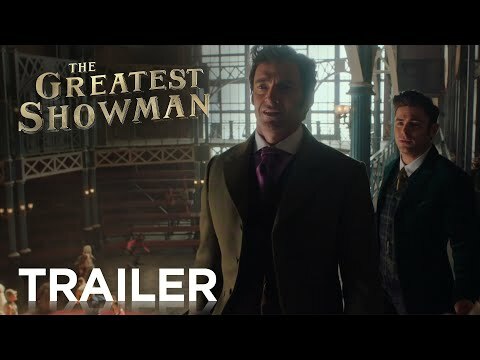 The Greatest Showman is directed by exciting new filmmaker, Michael Gracey, with powerful original music and songs by Academy Award winners Benj Pasek and Justin Paul (La La Land). Opening on January 24, 2018  The Greatest Showman is from 20th Century Fox to be distributed by Warner Bros. (in Phils.). From Academy Award winners Benj Pasek and Justin Paul, lyricists of La La Land comes the bold and original musical The Greatest Showman with a stellar cast that includes Hugh Jackman as P.T. Barnum, Zac Efron as Phillip Carlisle, Michelle Williams as Charity Barnum, Rebecca Ferguson as Jenny Lind, Zendaya as Anne and Keala Settle as Lettie, the movie directed by Michael Gracey. The Greatest Showman features powerful original music and songs that celebrates the birth of show business and the sense of wonder we feel when dreams come to life. Inspired by the ambition and imagination of P.T. Barnum, The Greatest Showman tells the story of a visionary who rose from nothing to create a mesmerizing spectacle that became a worldwide sensation. 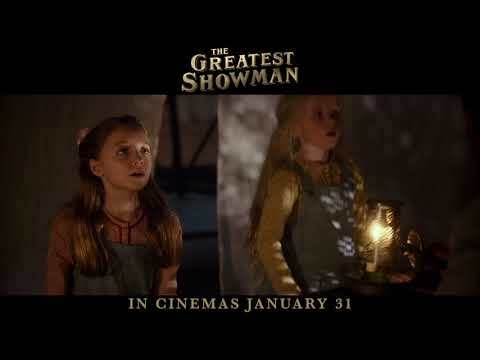 A cinematic and immersive experience with a highly-inspirational story, The Greatest Showman opens January 31 in Philippine cinemas from 20th Century Fox to be distributed by Warner Bros. Follow 20th Century Fox (Ph) on Facebook, 20thcenturyfoxph on IG and YouTube, @20centuryfox on Twitter. Hugh Jackman stars as the legendary P.T. Barnum in The Greatest Showman, a heartwarming musical film inspired by the life of the man who invented show business. Magical and moving, its a rags-to-riches story about a visionary who transformed entertainment with his legendary circus. Michelle Williams stars as Barnums wife, Charity. Zac Efron plays his protégée and business partner. The film also features compelling performances by Rebecca Ferguson and Zendaya. The Greatest Showman opens January 31, 2018 in cinemas from 20th Century Fox to be distributed by Warner Bros.
di pa ba palabas sa manila to? sobrang ganda neto. Step into the most thrilling world of showbiz and how it all began in the most anticipated musical The Greatest Showman overflowing with a talented cast that includes Hugh Jackman, Zac Efron, Michelle Williams, Zendaya, Rebecca Ferguson and Keala Settle. Directed by Michael Gracey, who makes his directorial film debut in The Greatest Showman, the larger-than-life musical movie also features original songs from Academy Award winners Benj Pasek and Justin Paul (who composed songs from the highly-acclaimed La La Land). The Greatest Showman, inspired by the legend and ambitions of Americas original pop-culture impresario, P.T. Barnum, is an inspirational rags-to-riches tale of a brash dreamer who rose from nothing to prove that anything you can envision is possible and that everyone, no matter how invisible, has a stupendous story worthy of a world-class spectacle. The Greatest Showman also touches on another idea of these times: that of chosen families built around allowing people to express who they are without reservation. Barnum pulled people together who the world might otherwise have ignored. And by bringing each of these people into the light he created a family who were always going to be there for each other, concludes Gracey. The Greatest Showman will open January 31 in cinemas nationwide from 20th Century Fox to be distributed by Warner Bros.
Been playing Ke$ha's This Is Me since I discovered it last week. ANG GANDA! Grabe sobrang ganda ng song na This is Me. Gives me chills. Very happy it won sa Golden Globes. Hope it wins Best Song sa Oscars. Attended the press screening last night. Movie didn't disappoint. I loved all the songs! Plot was pretty predictable but it was ok. Before going to see the movie, I was convinced 'This Is Me' was going to be the most memorable, but 'From Now On' turned out to be more powerful, more emotional even. Naiyak ako sa 'Never Enough' ni Rebecca Ferguson, lalo na sa reprise version.Naenjoy ko rin pub sequence nina Hugh at Zac. Loved everything about the film! May sneak preview ang movie on 22 and 23 in select Ayala Cinemas, before the movie rolls for a wide release on 31! The sneak previews of The Greatest Showman have been set on January 22 and 23 before its nationwide release on January 31. Starring an extremely talented ensemble cast composed of Hugh Jackman, Zac Efron, Michelle Williams, Zendaya, Rebecca Ferguson and Keala Settle, The Greatest Showman is the most thrilling musical movie ever filmed for the big screen. With original songs by then unknown and now Oscar-winning duo Benj Pasek and Justin Paul, The Greatest Showman told through powerful series of dance and songs is a full-on celebration of humanity, our oddities and the larger-than-life belief in oneself amidst impossible hurdles. Its a classic rags-to-riches story about a man who started out life with nothing, but by the sheer force of his imagination and ambition, realized his dreams, going on to transform entertainment, while becoming a global sensation. An optimist and an idealist responsible for inventing the Big Top, P.T. Barnums story is nothing short of remarkable. Hugh Jackman takes the leading role and it is impossible to imagine anyone other than the charismatic, Oscar-nominated and Tony-winning actor playing the legendary 19th-century impresario and showman. The Greatest Showman chronicles the journey of Phineas Taylor Barnum, who grows up poor and falls in love with Charity (Michelle Williams), his childhood sweetheart. The film follows the couple as they embark on an incredible series of adventures with their two daughters. Breaking down social and class barriers, he had an instinctive understanding of how to entertain people, amaze audiences and lift their spirits. Alongside Jackman, Zac Efron stars as Barnums protégé and business partner. Singer and actress, Zendaya, dazzles as a pink-haired trapeze artist. And Rebecca Ferguson shines as the iconic 19th-century soprano, Jenny Lind, also known as the Swedish Nightingale. Along with the dancers, gymnasts, acrobats and fire breathers who filled his thrilling circus, the showman hired a unique group of diverse performers, outsiders who were overlooked and ostracized by society at the time. P.T. Barnums Oddities included the Bearded Lady (Keala Settle), and an exceptionally small man, General Tom Thumb (Sam Humphrey). With no other chance to make a living or enter normal society in the 1800s, P.T. Barnum gave these outsiders hope -- as well as jobs -- celebrating their individuality and treating them as a family. He had a strong belief in acceptance, a powerful theme in the film, and felt that what makes everyone different, actually makes them unique. Witness the power of ones imagination in cinemas and the birth of show business  The Greatest Showman is a 20th Century Fox feature film to be distributed by Warner Bros. in PH. Attended the press screening last night. Movie didn't disappoint. I loved all the songs! Plot was pretty predictable but it was ok. Before going to see the movie, I was convinced 'This Is Me' was going to be the most memorable, but 'From Now On' turned out to be more powerful, more emotional even. Naiyak ako sa 'Never Enough' ni Rebecca Ferguson, lalo na sa reprise version. Naenjoy ko rin pub sequence nina Hugh at Zac. Loved everything about the film! Is this an original song for the film? Eto ang pinakamagandang song sa movie. Yes. All songs used are original. Composed by Justin Paul and Benj Pasek. Sila din composers OMPST ng La La Land. Just watched it last night sa moviehouse. Umm... Story? Meh lang. Mukhang pinilit yung pagkakagawa ng movie. Way too predictable. Na-gets ko din naman ang gustong mangyari ng creative team sa This Is Me. Kung grammy awards to, pwede tong maging song of the year! Kaso, sa case ng musical films, hindi siya naexecute ng ayos as part of the film. Pwede na, pero hindi siya sing-powerful ng pagkakagamit ng City of Stars sa La La Land, or "Suddenly" ng Les Mis. Nadisappoint ako sa movie. Ang hirap pag pumasok ka sa theater na mataas ang expectation sa ipapalabas. Whew! Hindi nila to ipinasa sa Academy for Original Song? 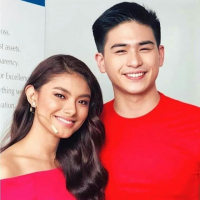 Kung hindi, I guess hindi nila kayang magtake ng risk this year because of Coco. Kay Loren Allred actually yung singing voice ni Jenny Lind sa movie. Does anyone already brought the soundtrack album sa iTunes Philippines, or local stores like, Astro Plus? Or already downloaded or online streaming like Spotify, Apple Music, Deezer? Kasabay ng "The Greastest Showman" ang "Call Me by Your Name": Sa January 31. I watched this last night and was very entertained Enjoyed it so much. I do get bakit so-so reviews from critics, may something off sa story but personally I don't mind kasi the musical numbers were more than enough for me. Also loved Hugh Jackman and Michelle Williams dance to A MILLION DREAMS, so elegant.